The United States has gradually shifted its formal drug policy from a punishment-focused model toward a more comprehensive approach – one that focuses on prevention, treatment and enforcement. The federal government has demonstrated growing support for the drug court model primarily through financial support of drug court programs, federal drug courts, research and various drug court initiatives. 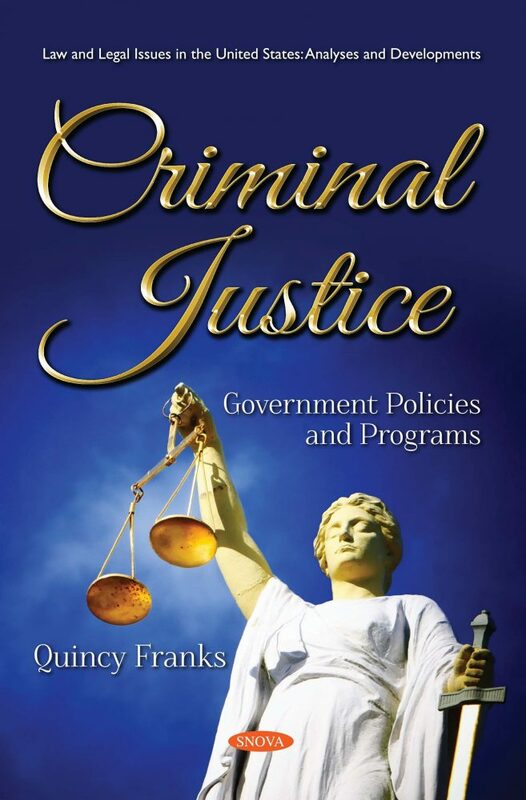 This book includes an overview on federal support for drug courts; an overview of recent trends in the enforcement of the Bank Secrecy Act (BSA), the principal US anti-money laundering law regulating financial institutions; an overview on the mandatory minimum sentencing of federal drug offenses; a discussion on the legislative provisions that govern the US Department of State’s production of the annual TIP (Trafficking in Persons) Report, reviews country ranking trends in the TIP Report, and identifies recent congressional oversight of and legislative activity to modify the TIP report; an finally, an analysis of the use of special prosecutors and independent counsels under now-expired provisions of the Ethics in Government Act of 1978, as well as the use of special counsels that are currently authorized by DOJ regulations. Chapter 1. Murderous Schemes Are Not Violent Crimes?